“Every one of us has the Spirit within us. The Spirit is in our heart, our soul,” the pope said May 22 at his weekly general audience in St. Peter’s Square. Having concluded a series of audience talks about the sacrament of baptism, and having celebrated Pentecost May 20, the pope began a new series of talks on the sacrament of confirmation. The apostles received the Holy Spirit on Pentecost and they — like their successors, the world’s bishops — were granted the power to invoke the Holy Spirit upon those who have been baptized. Jesus gave his disciples a truly great mission — to be the salt of the earth and the light of the world, the pope said. “These are images that make us think about our behavior because both the lack of and any excess of salt makes food revolting, just as a lack of and too much light hinder sight,” he said. 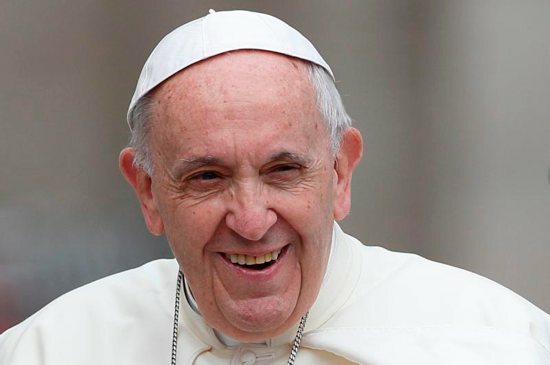 The only one who can guarantee each person has been given just the right amount of salt and light is Christ’s Spirit, who makes sure his disciples are “the salt that gives flavor and protects against decay and the light that illuminates the world,” the pope said. “The Spirit guides us in life so that we become the right salt and the right light for humanity,” he said. After one is reborn to divine life in baptism, he said, the next step is to live like true children of God, conforming oneself to Christ and sharing in the mission of the church. The sacrament of confirmation, he said, is about confirming the grace of baptism and anointing people with the Holy Spirit to bear witness to Christ in the world. “Christian witness consists of doing only and everything that the Spirit of Christ asks us while granting us the strength to do it,” he said. After his main audience talk, the pope greeted Ukrainians who took part in the International Military Pilgrimage to Lourdes May 17-22. “I constantly pray the Lord may heal the wounds inflicted by war and grant his peace to beloved Ukraine,” he said. Meanwhile, Italian police cordoned off an area at the end of the long boulevard leading to St. Peter’s Square to investigate a bomb threat. News outlets reported an unidentified person called emergency services alleging a bomb was inside a bank near the Vatican. Occupants in nearby buildings, which include some Vatican offices, were asked to evacuate. The security measures did not affect or interrupt the general audience, and the threat was later found to be a false alarm.